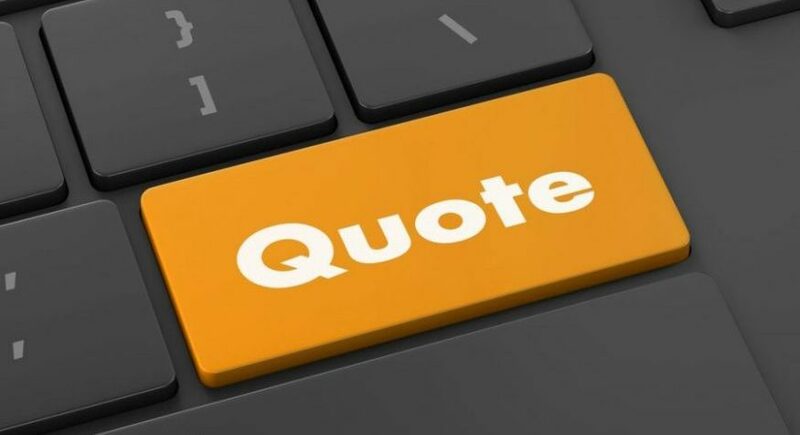 While Johnnie T. Melia Moving and Storage recommends homeowners get an in-home estimate whenever possible, JT Melia also offers an online local moving quote for people that want a quick response. When seeking an evaluation through the internet, a homeowner needs to have some basic information prepared for the process. This will ensure the most accurate assessment is given to the homeowner. When using JT Melia’s online estimate service, a homeowner can expect to receive a response as soon as possible. An online local moving quote will not be quite as accurate as an in-home estimation, but it can provide a rough idea of what the final cost of the move will be. To ensure it is as accurate as possible, the homeowner should be able to provide a few key pieces of information. The most important is where exactly the move will take place. The shorter the move, the less it will cost, but transporting items across a busy city will be more involved than a simple move across a small town. The homeowner should also have an idea of how much work will need to be done. When opting for an estimate through the internet, most moving services will inquire about the number of rooms that need to be handled. While a per-room evaluation is not as detailed as an itemized estimation, it can help a homeowner make an informed decision. Most houses won’t provide any unique situations for the moving company to deal with, but if a homeowner has any questions about unusual circumstances, the time to ask is during the estimate. Normally, this involves any items that are particularly large, heavy or fragile. If something extremely bulky like a piano or stone fountain will need to be transported, the moving company may need to bring special equipment, like a power lift or crane. If a homeowner has a number of fragile items that need to be transported, the moving service may need to bring packing material designed for the job. Finally, a homeowner should be able to tell the moving company what services will be required during the job. An online local moving quote can change greatly if all services aren’t accounted for by the homeowner and company. For instance, some businesses assume that packing and unpacking will be part of the services, which will be factored into the estimate. Some homeowners only want the company to load and unload everything and not bother with the packing. What services will be rendered will have a huge impact on the final cost, so make sure this is outlined to the company. When a homeowner requests an estimate through the internet, they can expect to hear back right way, often on the same day of business. Once a homeowner has a good idea of what the move will cost, they should consider opting for a follow-up in-home evaluation. During this assessment, the homeowner will receive a precise picture of the costs associated with the move. With these estimates in hand, a homeowner will be able to make the most informed decision possible for their move.